The smattering of design hiccups are still present - the odd linear mission, and the chore-like but unavoidable mining mini-game - but so are all of the wonderful things - the fantastic dialogue, the thoughtful intelligence of it all, and that bit where Mordin starts singing. It's been said before, but it's worth repeating: Western RPGs will never be the same again, such is the impact of BioWare's work here. In short, Mass Effect 2 is bloody brilliant. Grab a fork, and tuck in. 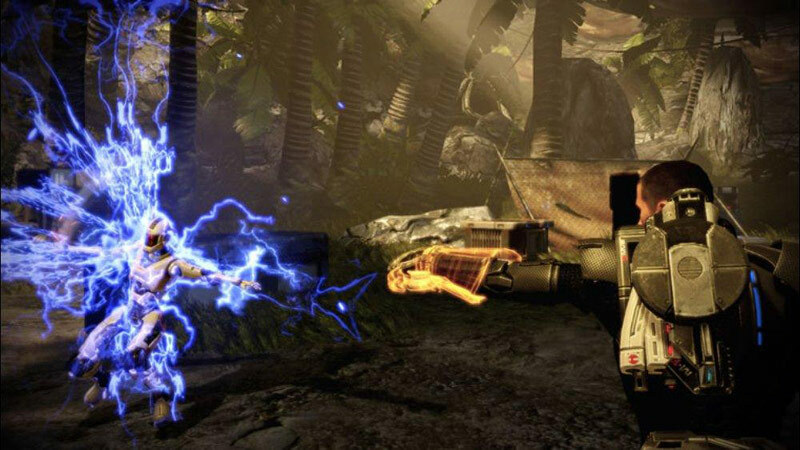 Its solid third-person shooting combat isn't only functional, but stronger than many dedicated third-person shooters and a reason for shooter and action fans to get in on the fun. And above all else, the game's clean look, amazing voice acting, stellar story and interesting characters will push you to go further and further into Mass Effect 2 to see everything it has to offer. Overall, the game is inarguably one of the most solid titles to come out in quite some time. Offering a fantastic storyline that will keep you on the edge of your seat from start to finish, BioWare has proven once again why it’s one of the top developers in the gaming industry. They took the time allotted and made an amazing game even more impressive. Your actions both in and out of battle have weight because you care about the consequences. Almost everything Mass Effect 2 does, it does with uncommon quality. Its missions are varied and smartly structured. Its atmospheric art design uses color and lighting to evoke mystery and tension. And its well-acted characters stay with you even when you've returned to our more ordinary version of the Milky Way. 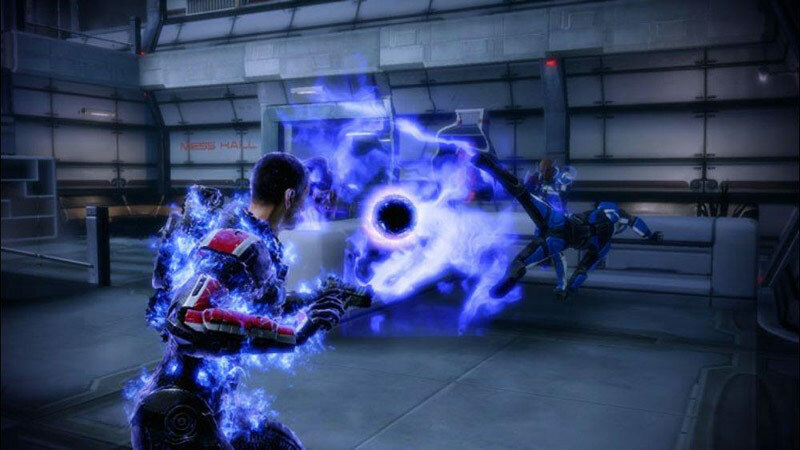 Mass Effect 2 is an awesome game, awesome story, and plain awesome experience regardless of what system it’s on. 360 owners will probably want to stick with that version to avoid to long installs, downloads, and bargain bin prices. Everyone else unfortunate to go this long without Mass Effect has no excuse. 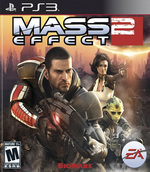 Get this game, play it, love it, and prepare for Mass Effect 3. The characters, the story, and the gameplay come together to deliver a jaw-dropping adventure unlike anything else. Yes, reliving the choices of the first Mass Effect as an interactive comic book pales in comparison to importing your own Commander Shepard. 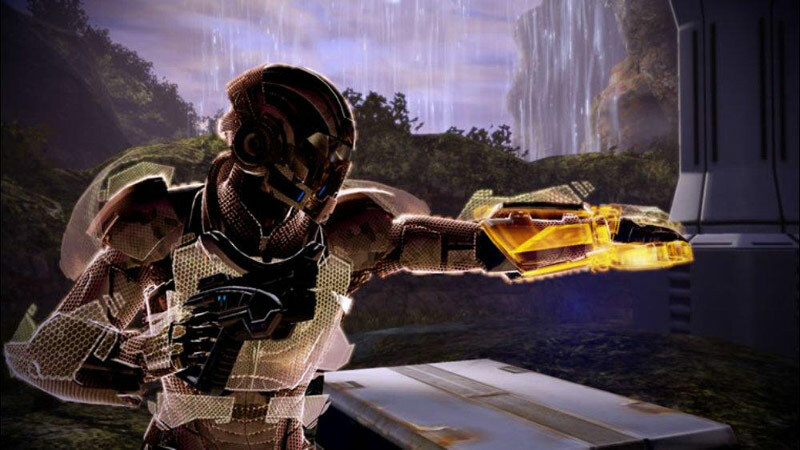 However, aside from losing that consistency in the universe, Mass Effect 2 is just as good on PS3 as it on 360. Indeed, Mass Effect 2 has far more heart and ambition than a lot of games we’ve played over the years and it's true to say that the beautifully designed planets, exciting characters and strong narrative play a huge part in creating this cinematic, interactive movie-like experience. Plus, it should be stressed that the exciting missions and intense bouts of combat are equally as epic as the stunning scenery that you’ll witness on your travels. El hecho de que esta versión incorpore las tres expansiones principales del juego añade el necesario valor añadido para compensar el gran retraso con otros formatos, constituyendo así un juego con un gran contenido, tanto en calidad como en cantidad. Gran historia.Personajes inolvidables.Una ambientación única.Un aspecto audiovisual excelente.La atención por el detalle.El trabajo en las voces y animaciones faciales. Espectacular continuación del clásico de Bioware que mejora todavía más la calidad de sus gráficos, argumento y ambientación. Una epopeya espacial épica que nos enganchará del cuello y no nos soltará hasta que lo terminemos por completo. Trop absorbé par les développements simultanés de Dragon Age II, Star Wars : The Old Republic et de Mass Effect 3, BioWare ne s’est guère investi sur cette version PS3 de Mass Effect 2. En guise de récompense pour leur année d’attente, les possesseurs du monolithe de Sony doivent donc se contenter du jeu original, juste accompagné d’un comics interactif narrant les événements survenus dans le premier épisode et de divers packs mis en ligne au cours des douze derniers mois sur PC et Xbox 360. 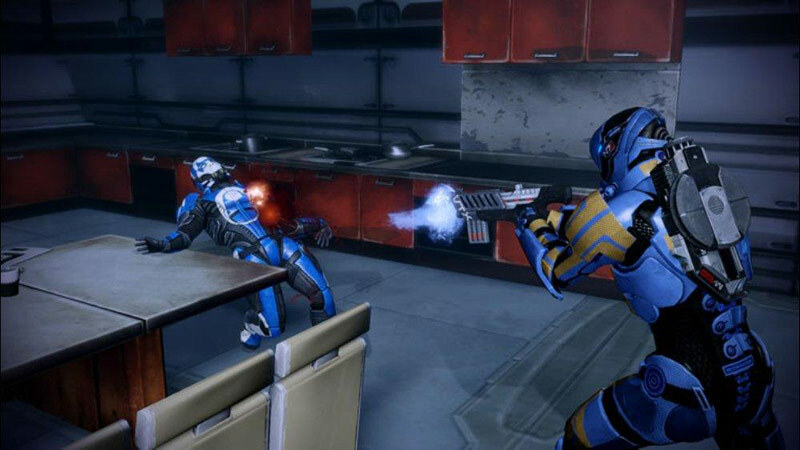 Bioware gâte les joueurs PS3 avec cette version de Mass Effect 2. Contenus téléchargeables ajoutés sans frais, un joli comics interactif compensant l'impossibilité pour eux de jouer au premier volet, on peut dire qu'on ne se moque pas du monde. Ceci dit l'obligation de télécharger ce comics reste une idée assez malvenue. Si vous êtes à la recherche d'un véritable space opera mêlant action et RPG ou si vous êtes amateur de SF, vous pourrez difficilement passer à côté de Mass Effect 2. Acquistando una copia PS3 di Mass Effect 2 metterete infatti le mani sul pacchetto più completo tra quelli disponibili sul mercato, contenente, oltre alla straordinaria avventura principale, anche tutti i DLC rilasciati fino ad oggi sulle altre piattaforme, per circa 5, 6 ore di gioco supplementari. 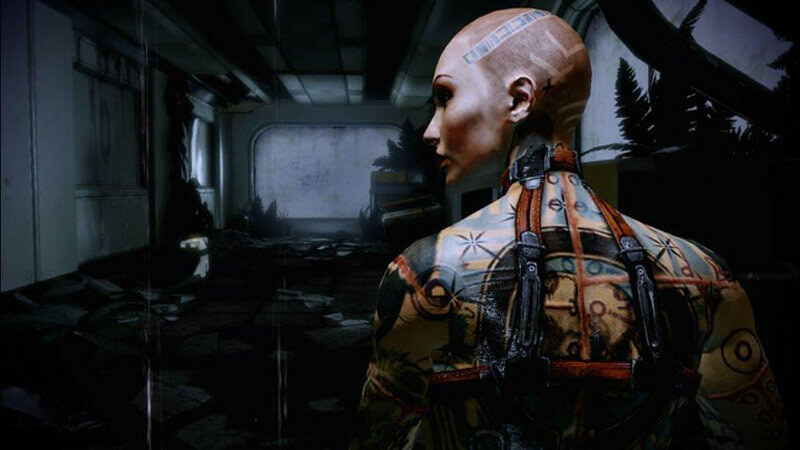 E questo senza contare che il tutto è accompagnato da una veste grafica ancor più curata e rifinita di quanto non fosse quella delle edizioni Xbox 360 e PC, grazie all'utilizzo di quello che sarà il motore di gioco di Mass Effect 3. Men även de vitt skilda uppläggen på uppdragen, där jag ömsom smälter in på bästa James Bond-manér i ett fisförnämnt cocktailparty för att sekunden efter ställa till med explosivt stök, ömsom får kalla kårar i jakten på resultatet av ett misslyckat experiment, bidrar ytterliggare till den fantastiska helhet som stavas Mass Effect 2. Det gör ett redan mästerligt spel ännu bättre.